Why it matters: Fighter pilot Pierre-Henri Chuet gives the Ace Combat community his impressions of Ace Combat 7 in a candid interview video posted by Bandai Namco. He got to play the PC version, which launched last week and seemed to like it. Ace Combat 7: Skies Unknown has been out on Xbox One and PlayStation 4 since January 18, but it only released on PC last Friday. So far it has gathered some decent reviews and holds a respectable TechSpot Metascore of 81. To celebrate the PC launch, Bandai Namco gave a real fighter pilot, Pierre-Henri Chuet the game to get his reactions (below). To be clear, Ace Combat does not pretend to be a realistic flight simulator, but Chuet still seemed to be impressed. He felt the cockpit of the Dassault Rafale M, which is the jet he flew in the French Navy, was accurately depicted in Ace Combat 7. 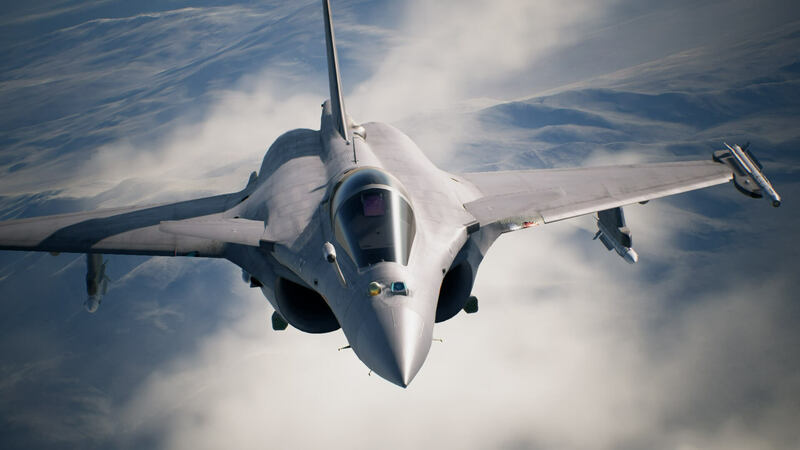 “It’s a good sensation to be able to fly the aircraft I flew,” said Chuet about the Rafale. While some reviewers have complained that mission objectives are not explained well enough, Chuet has a contrary opinion. He says the briefings are long and detailed, so you know what to do. He says this is very much how it is in a real mission briefing. He also liked the weather system. Raindrops can collect on the canopy, which allows you to play a game that fighter pilots play in real life called “cloud surfing.” Cloud surfing is when you fly as close to a cloud as you can. If you get too close, droplets will appear on the glass, and you lose. Ace Combat 7: Skies Unknown is now available for PC on Steam. It is sounding pretty solid review-wise and having an endorsement from a real pilot was a smart marketing move by Bandai Namco. I have not played Ace Combat since Ace Combat Zero: The Belkan War. Now, I feel like it’s time to jump in that cockpit again.